Qualified Teacher Learning and Skills (QTLS) is the badge of professionalism for teachers and trainers in the UK. It is a voluntary process which demonstrates your commitment to being a professional teacher in England. It is a 'status', not a qualification. A book to support the process is now available, you can see further details here. Scroll down this page for further details regarding QTLS status. QTLS is gained by completing a process known as 'professional formation' and by being a member of the professional association the Society for Education and Training (SET), which is part of the Education and Training Foundation (ETF). You can read a case study about Jeminiyi Ogunkoya (pictured) gaining QTLS by clicking here. QTLS status gives legal parity with school teachers' QTS status in England, enabling you to teach in a school or an academy should you wish, without going through the induction year. Guidance for schools can be seen here. Advanced Teacher Status (ATS) is the badge of advanced professionalism and mastery in further education and training. It entitles you to be a Fellow of SET. It is a professional status conferred by the Education and Training Foundation (ETF) through the Society of Education and Training (SET) - see below, and is voluntary. You must have achieved QTLS, be a member of SET, have held your teaching qualification for at least four years and be teaching or training in a post-14 setting for an average of eight hours a week. The ETF support the professional development of teachers and trainers, leaders and governors, and employers to help them deliver excellent further and vocational education and training. The ETF offer free and subsidised training, and provide online resources and courses. Please note: the ETF and SET websites regularly change their webpages, therefore some of the links on this page might not work if they have updated them. If you find a broken link, please contact me to let me know. I have been featured on the Education and Training's SET website. Click here to read the 'My Career Story' feature. 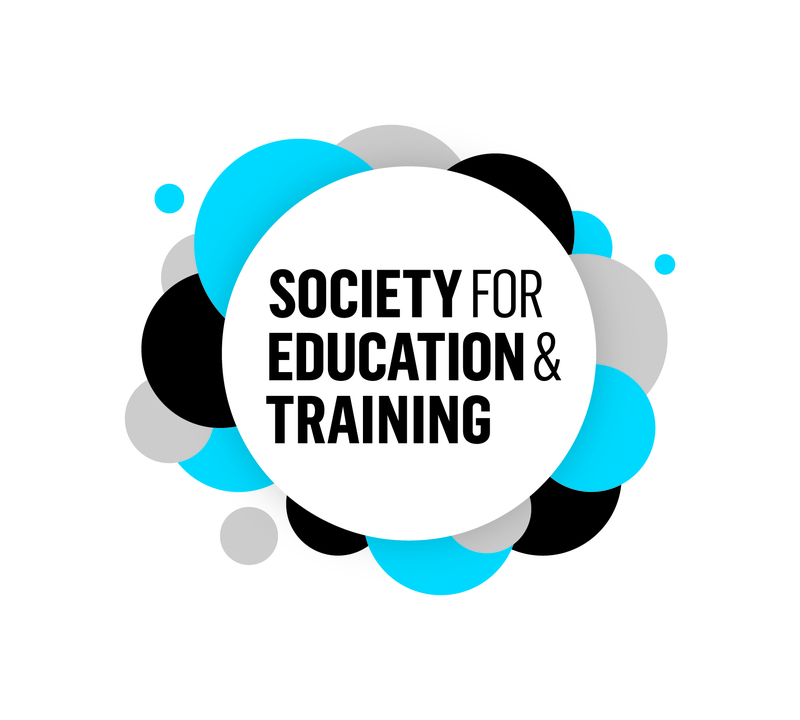 The Society for Education and Training (SET) is part of the ETF. You you can join to be a member of the SET professional association. SET have produced Professional Standards for teachers and trainers in England. professional skills - 8 standards aimed at developing expertise and skills to ensure the best outcomes for learners. You can use an online self-assessment tool to rate yourself against the Professional Standards. An interactive map is also available to help you apply the Professional Standards within your job role. you can join SET free (for a limited period) just click here for details. To gain QTLS status, you must have achieved a relevant teaching qualification to at least level 5 (i.e. the Diploma in Education and Training/DTLLS/Cert Ed/PGCE). You will need to provide evidence of your literacy and numeracy skills (part of the minimum core) to at least level two. If you already hold a numeracy/maths and literacy/English qualification such as Key Skills or GCSE grade A-C these should be acceptable. Click here to see details of the approved maths and English qualifications. You will need to be familiar with the Professional Standards as gaining QTLS status is based upon them. You can carry out a self-assessment by clicking here. It can help you in your career progression, demonstrates a commitment to your professional development, and is a recognition of your professional status as a teacher or trainer. You can be added to the Society's professional status register. QTLS status is recognised in law as having parity with QTS for teaching in schools. Scroll down this government webpage until you see QTLS. You can have access to certain benefits as part of staying a member of SET. You can apply for Advanced Teacher Status which is the badge of advanced professionalism and mastery in further education and training. Take a look at the video to find out how to apply and whether you are eligible. You can apply for, and get help completing your QTLS application by clicking here. You need to be a member of the Society for Education and Training to apply for QTLS status. As a member, you must abide by the Code of Professional Practice. There is a recognition route for teachers who do not hold a level 5 teaching qualification, but who have substantial teaching experience. The videos have now moved to this page. 1 - Is QTLS the same as QTS? QTLS status is recognised in law as having parity with QTS status for school teachers. Click here for further information from the GOV.UK website. Click here for guidance for employers and headteachers from SET. This information might help you avoid the induction year if your school is unaware of it. 2 - Is QTLS/ATS a qualification? It's not a qualification, it's a 'status' which is achieved by application to the Society for Education and Training (SET). You must remain a member of the SET to keep your status live. 3 - Can I teach in a school if I have QTLS? QTLS status is accepted in schools, however, each school makes their own decision as to what their staff should hold. See question one (above) as it is recognised in law and schools should accept it. 4 - How do I apply and how long does it take to achieve QTLS/ATS? You can find out more and apply by clicking here for QTLS and clicking here for ATS. QTLS takes about 4-6 months and ATS up to 11 months. There are two cohorts per year, although you can express an interest to apply at any time. You can complete the online workbook at your own pace. 5 - Why should I achieve QTLS/ATS status if it's not a legal requirement as a teacher in the FE and training sector (in England)? Holding QTLS and/or ATS is a demonstration of your commitment, skills and knowledge to employers. It shows you are a professional teacher or trainer. Also, as a member of SET you will be able to access professional development opportunities, certain benefits, and be able to communicate with other members. 6 - How much does it cost to gain QTLS status? You will need to become a member of SET first and then you can apply. The cost of QTLS is currently £485 and ATS is £600, but please check with SET in case it's increased. The fee can be paid in installments. 7 - Where can I get help to complete the application and workbook? 8 - Can I use the letters QTLS/ATS after my name? As a member of SET, you can use various letters after your name, depending upon your membership grade, plus the letters QTLS/ATS if you have achieved the status. If your question is not listed above, please click here for QTLS FAQs and click here for ATS FAQs on SETs website. Thinking of teaching in FE? Click here for lots of useful advice. ETF newsletter subscription click here. Free online courses for members click here. Free Prevent Duty resources click here. Free resources, case studies and research about improving teaching click here. Excellence Gateway free resources click here. Over 7000 educational resources are available.